It was another busy, full week. Planned Parenthood continues to be discussed – as it should be – but I especially appreciate one perspective that was featured on Word Slingers this week, of which I will discuss. Though half of the topics involve the largest abortion provider, this week’s DHD covers other relevant reviews. One in particular I’m happy to share! Let’s get to it! 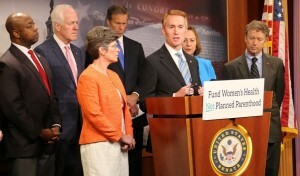 Senator James Lankford continues to be at the forefront in the efforts to remove federal funding for Planned Parenthood. Earlier this month, he was the first to speak on the U.S. Senate floor about the revelation through video evidence that the largest abortion company also is in the business of selling body parts. 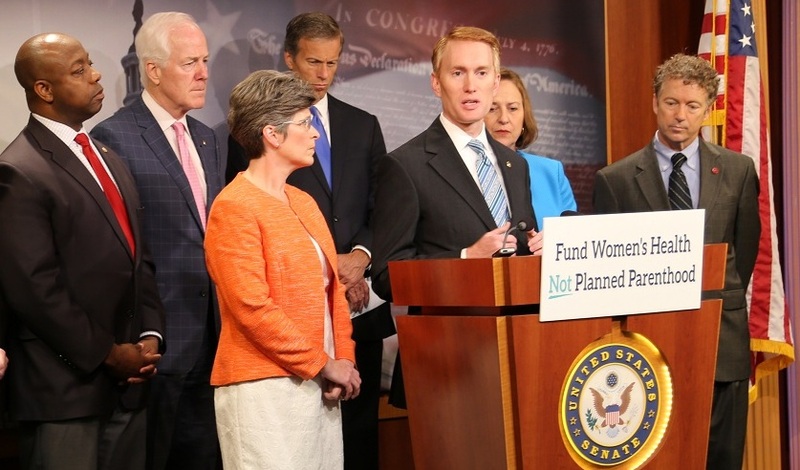 This week, Lankford and other senators introduced a bill to redirect taxpayer funding from supporting Planned Parenthood and to other entities that provide women’s health care services. “I feel it’s incredibly important that we raise the issue, and that we address this immediately, and that we continue to provide funding for women’s health, but we don’t continue to provide funding for an organization that makes part of their money off the death of that child, and then part of the money off the sale of the parts of that child to different research facilities,” Lankford said. This bill should receive a vote in the Senate next week. I hope this becomes a major strike that begins the end to Planned Parenthood, while continue offering support for women’s health that genuinely has life in mind. I remember having a conversation with a friend a few years ago. The friend was apprehensive to say she was “pro-life” because she felt many who hold the pro-life perspective present themselves in a cruel, insensitive fashion toward women who are dealing with unexpected pregnancies. I don’t completely favor this line of thinking because I believe those who say they care about women and show their pseudo-care by killing babies in the mothers’ wombs are even more cruel. At the Hope Pregnancy Center, where I volunteer, there are special sessions offered for women who deal with anguish and guilty pain after having an abortion. This class is called “Forgiven and Set Free,” and the leaders of this class are the ones who demonstrate genuine compassion. The courts have ordered the Center for Medical Progress to no longer release any more videos relating to Planned Parenthood’s body part business. Many PP supporters are coming out against CMP instead of confessing that what the videos reveal is accurate and abhorrent. I blogged about this situation in Planned Parenthood, Donald Sterling and Double Standards. Apparently it’s okay to accept undisclosed recordings if it involves racist remarks but not if the recordings reveal the practice of selling organs of aborted babies. Also, it seems there’s no harm to secretly record a presidential candidate and use such for framing purposes. Yet no bartering of body parts were referenced in Mitt Romney’s 47 percent comment, which was taken out of context to bring him down. My movie watching has declined in the last few years. I used to be an avid fan of the big screen, but I’m not as impressed with what has been released lately. Two movies I have seen this summer are Inside Out and Ant-Man. Both were entertaining, but Ant-Man has some bad language. Boatwright also gives Inside Out a favorable nod, as well as Max, which I won’t discredit, but I don’t do dog movies. I received some heavy news this week. It crushed me. It’s the kind of news that affects a lot of people, many of whom I do not know. I’m not going to address it. Instead, let me offer something to those who may be hurting over such burdens. Share your pain with God. Allow Him to search your heart. Confess your emotions to the One who controls the universe and loves you with a love beyond comparison. There are many other Psalms to read and meditate and even use as a direct script for what to pray. Know that nothing can be said that can offer more comfort than the words offered to God. I end this week with sharing a photo of my mother. She is in a new stage of life, but one she is handling well. Her memory is fading, but she enjoys being “ornery” – her description, not mine – and many enjoy her spunky personality. Mom will be 81 in Sept., and this week, she revealed one of her talents to those who have been helping her recover from her recent fall. I told her therapists Mom is an excellent pianist. 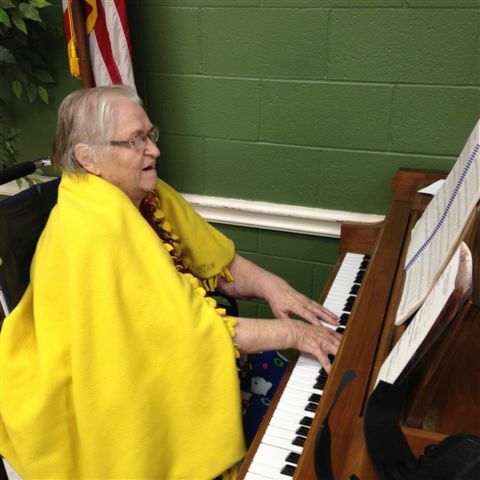 She played the piano in church for years, starting as a teenager who would play while my grandfather led the hymn singing. I share this picture for you to enjoy, hopefully as much as those who enjoyed hearing her play.